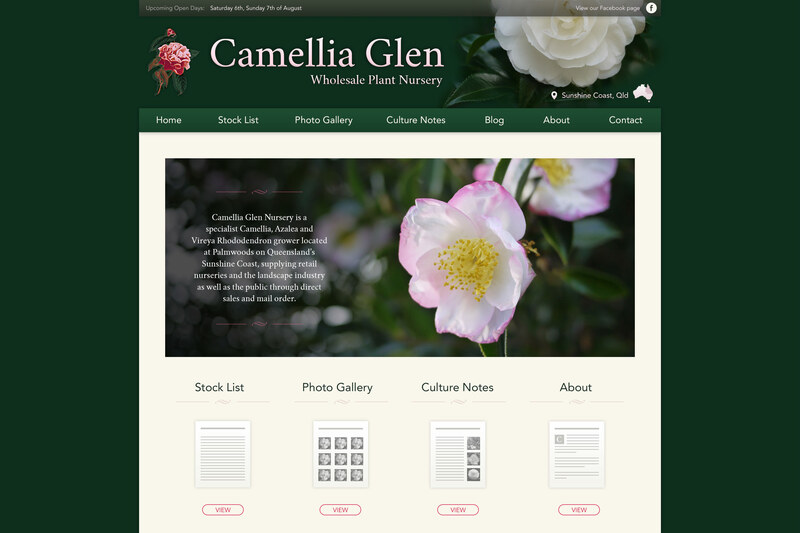 One of my long running freelance clients, a nursery business run by my parents. As with most of my freelance projects I am responsible for end-to-end work from inception through UI design, UX design, front-end implementation and server deployment. This latest version, built on WordPress, has some big upgrades including a refreshed, high-res, responsive design and some key new features. 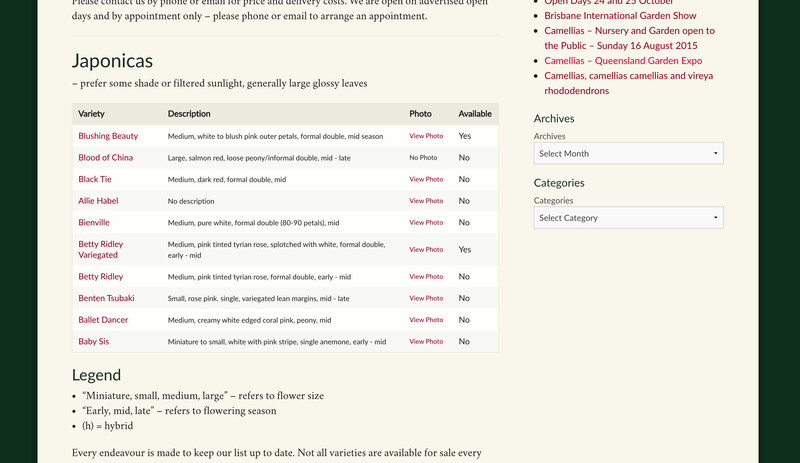 The implementation of a custom post type for plants allows granular attribute definitions which are integrated with custom taxonomies. 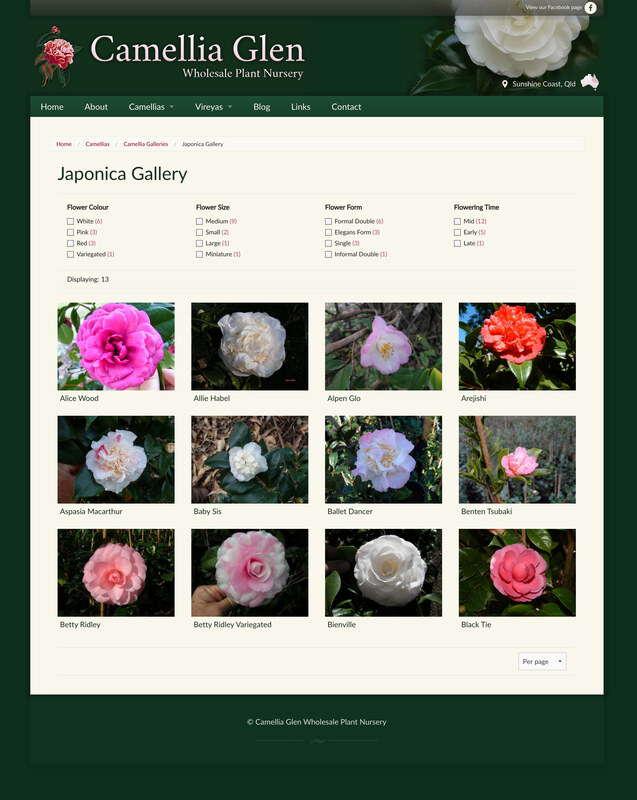 This then facilitates features such as the stock listing and faceted gallery. 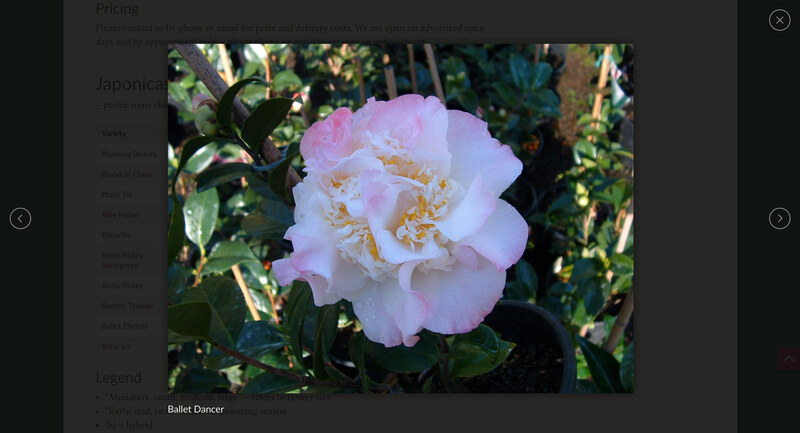 The gallery allows users to filter what displays in the gallery based on their preference of things like flower colour, form, size and so on. Some great plugins were used to achieve this functionality including Advanced Custom Fields and FacetWP.